Establishing the direction and developing the Strategic Plan for the Grand Island Chamber of Commerce is the Board of Directors. The board is comprised of community minded individuals who take an active role in the growth and development of the Grand Island business community. The Chamber employs a professional staff to facilitate the objectives established by the Board. 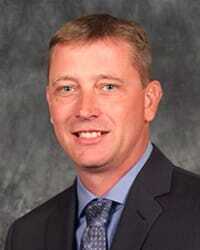 Ryan Dexter is the President and General Manager of Nebraska Fire Sprinkler Corporation in Alda. He earned an Associate’s Degree in Architectural Drafting from Central Community College at Grand Island after graduating from Clarks Public High School. After beginning employment at Nebraska Fire Sprinkler in 1983, he attended the American Fire Sprinkler Association Design School for Water-Based Fire Protection. Dexter has obtained a Level III Certification in water-based Automatic Sprinkler System Layout from the National Institute for Certification in Engineering Technologies and is a state licensed Nebraska Fire Protection Contractor. 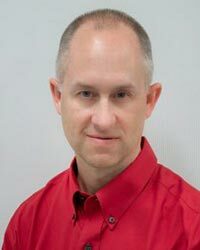 Ryan is a member of the American Fire Protection Association, National Fire Protection Association, Fire Sprinkler Contractors of Nebraska and the Nebraska Building Chapter AGC and is a past member of the CCC Drafting Advisory Board. Ryan and his wife Laura live in Grand Island and they have two adult sons. Patricia has worked for the Grand Island Clinic for over 40 years. She has been an Administrator since 2000, and also serves as office manager. She oversees a staff of 104 and helps make the day-to-day operation run smoothly. In the community, Patricia helps with the Grand Island Senior High Executive Design Team. She and her husband, Thomas, have two children and five grandchildren. Dr. Grover is the Superintendent of Grand Island Public Schools. 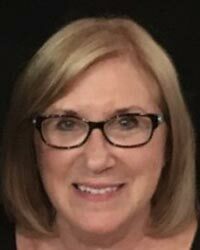 Along with the Grand Island Chamber of Commerce, she's also involved with Heartland United Way, Grand Island Area Habitat for Humanity and the Grand Island Public Schools Foundation. Dr. Grover is a member of the Grand Island Noon Rotary and the Buffet Early Childhood Workforce Commission. She graduated with both a Bachelor's and Master's of Science in Education from Auburn University. Dr. Grover furthered her educational pursuit by earning a Master's of Science and Human Resources from Troy University and later a Doctorate in Educational Psychology from the University of North Texas. Marcie has worked for Central Community College for nearly a decade, serving in her role as Grand Island campus president for the last 2 1/2 years. 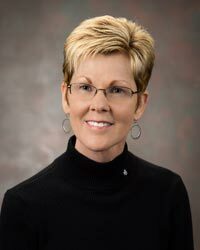 She is responsible for the overall administration of the Grand Island campus as well as the college-wide student services and health science divisions.She earned her Doctorate of Education and Educational Administration from the University of South Dakota in 2009. 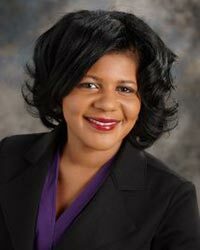 Along with her professional duties, Marcie is also the board chair of the YWCA and also serves on the GIPS Academy of Medical Sciences Advisory Board and Key Communicators, American Association of Community Colleges Student Success Commission, SkillsUSA Grand Island Steering Committee and College Park Advisory Board. She and her husband, Chris, have twin boys. Jeff is the office leader for all of Olsson's Greater Nebraska offices, including Grand Island, Hastings, Holdrege, Kearney and South Sioux CIty. He is involved with overseeing engineering design projects, as well as survey and construction administration. He graduated from the University of Nebraska - Lincoln and has worked at Olsson for 18 years. 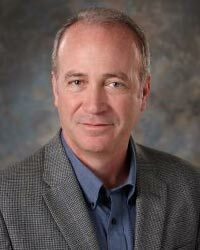 Along with his service on the Chamber's board of directors, Jeff is also on the Grow Grand Island executive board, and the Academy of Engineering and Technology Advisory board at Grand Island Public Schools. He and his wife, Jerri, have two sons and a daughter. Justin has worked for Dramco Tool for 25-plus years and is a part owner of the company. He oversees tooling design related to metal forming and stamping as well as oversee all aspects of Dramco's fabrication business. Justin actively participates on the advisory committee for Career Pathways as well as advisory committees for the both the Hastings and Milford campuses of Central Community College. He also a booster for the Grand Island Northwest band. Justin and his wife, Valerie, have two boys. Heath is owner of Rock Solid Solutions for Business. He graduated from Hastings College in 1997 with a Bachelor of Arts in Business Administration with an emphasis in Accounting. 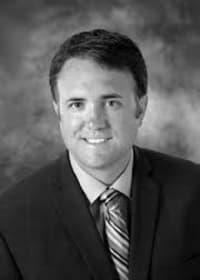 Heath is a Grand Island native with 20-plus years of business management and consultant experience. Since returning to Grand Island in 2002, Heath and his wife, Tiffany, have been actively involved in the community. He has served on various boards, including College Park, Hope Harbor and the American Red Cross Central Plains Chapter. He has two young children. Greg has worked for Green Line Equipment since he's moved back to Grand Island back in 1996. 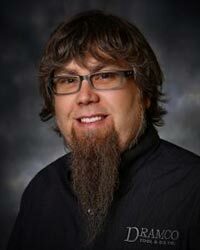 He is the General Manager of stores in Aurora, Central City, St. Paul, Ravenna and Grand Island. He's a 1986 graduate of Kearney State College, earning a Bachelor of Science in Business Administration degree. Greg and his wife, Lisa, have a son, Miles, and daughter, Marissa. Mike is the Plant Manager at the Case New Holland Industrial Combine plant. In addition to serving on the Grand Island Chamber of Commerce's Board, he serves on the Boards for both the Heartland United Way and the Hastings St. Cecilia Unity Board. 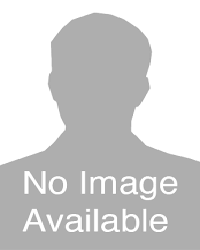 Mike earned a Bachelor of Science and Mechanical Engineering from Purdue University. He and his wife, Melissa, have four children. Tammy Slater is Chief Executive Officer at Goodwill Industries of Greater Ne., Inc. a non-profit that provides services to people with disabilities or barriers throughout 55 counties of central and western Nebraska with Corporate headquarters located in Grand Island. 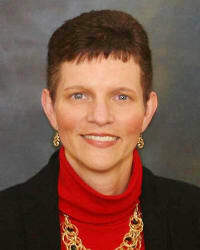 Tammy began her work history in the alcohol and drug field with adult women in a halfway house setting then served as Executive Director of American Red Cross Hall County Chapter before joining Chief Automotive Technologies where she served as Vice President of Human Resources and Services Administration for 19 years until joining Goodwill in 2010. Tammy has a Bachelor of Science degree in Human Resources Management from Bellevue University. She and her husband Bill live outside of Doniphan and have been Hall county residents since 1987.